Canadian singer/pianist Béatrice Martin, better known as Coeur de Pirate, released her much-anticipated sophomore release, Blonde, on November 8th via Grosse Boite Records. This new record is bouncier and more upbeat than the young chanteuse’s previous effort, giving plenty of room for seeping strings arrangements and jazzy big band elements. The first single is the lively retro pop number “Adieu”, which you can sample below. 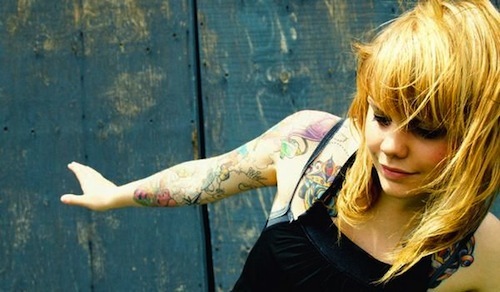 If you dig this sound, check out Coeur de Pirate’s collaborations with Peter Peter and Bedouin Soundclash and listen to her heartfelt cover of The Weeknd’s song “Wicked Games”, recorded in her home studio a couple of months ago.